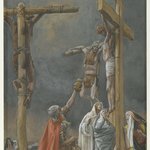 As Christ and the thieves condemned to die along with him hang on their crosses, one mockingly demands that Jesus, as the Christ, relieve them of their sufferings. 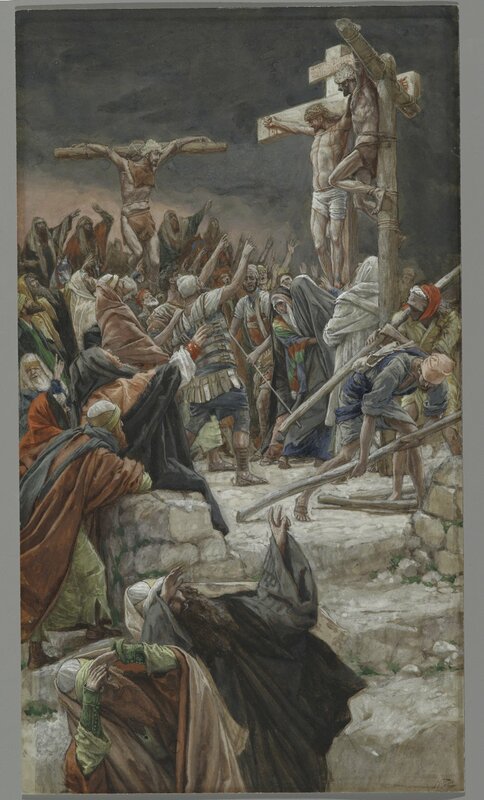 The other criminal reminds his fellow of the justness of their punishments, in contrast to the innocence of Jesus. 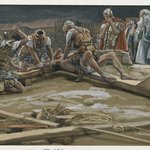 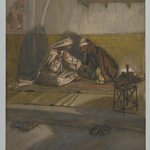 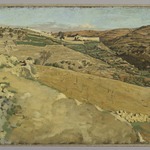 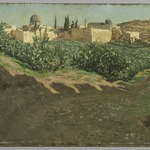 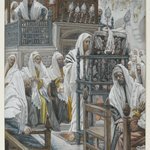 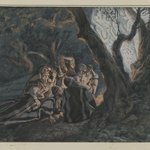 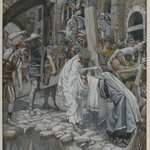 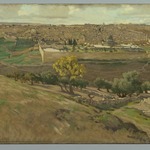 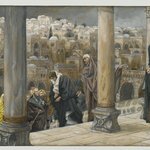 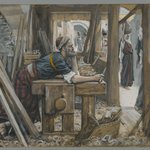 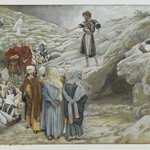 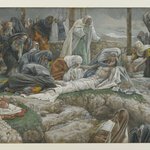 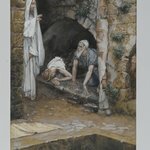 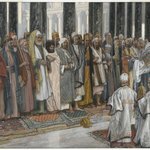 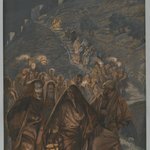 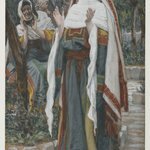 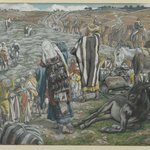 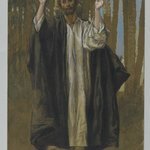 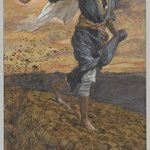 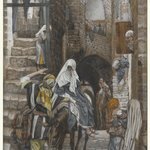 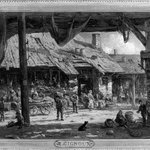 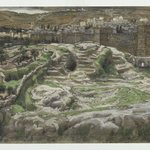 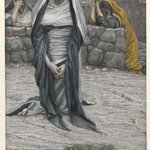 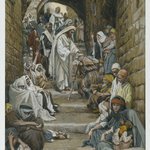 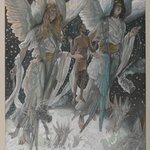 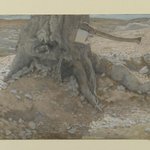 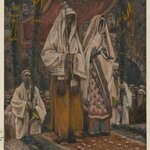 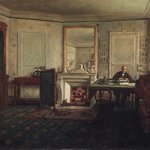 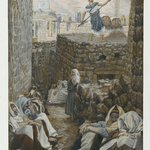 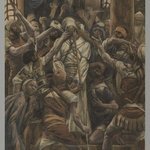 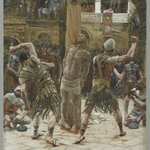 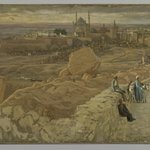 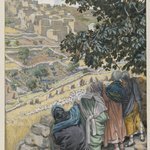 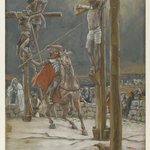 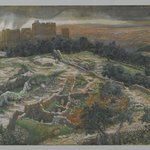 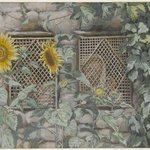 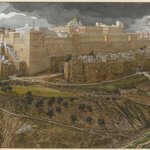 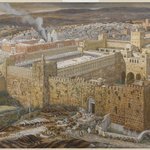 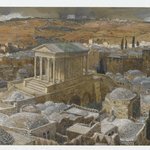 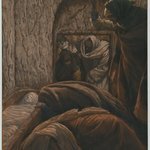 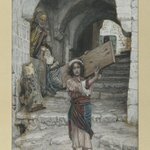 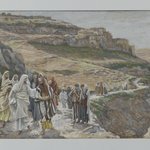 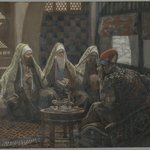 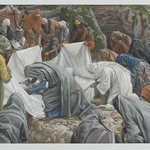 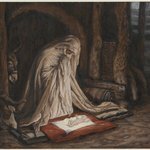 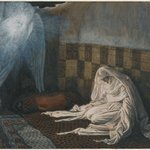 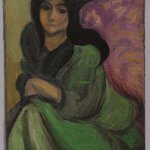 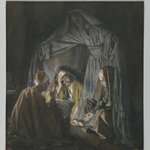 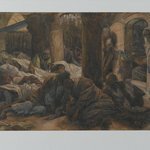 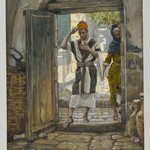 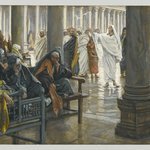 “Touched,” Tissot writes, “by the divine gentleness of the crucified Saviour,” the penitent thief then asks Jesus to remember him when he comes into his kingdom; Jesus replies that today the thief will be with him in paradise.